Recently I was asked why I photograph the places or things I do. I photograph subjects that grab my attention, evoke an emotional response and/or inspire my imagination. This photo is a classic example of all three. 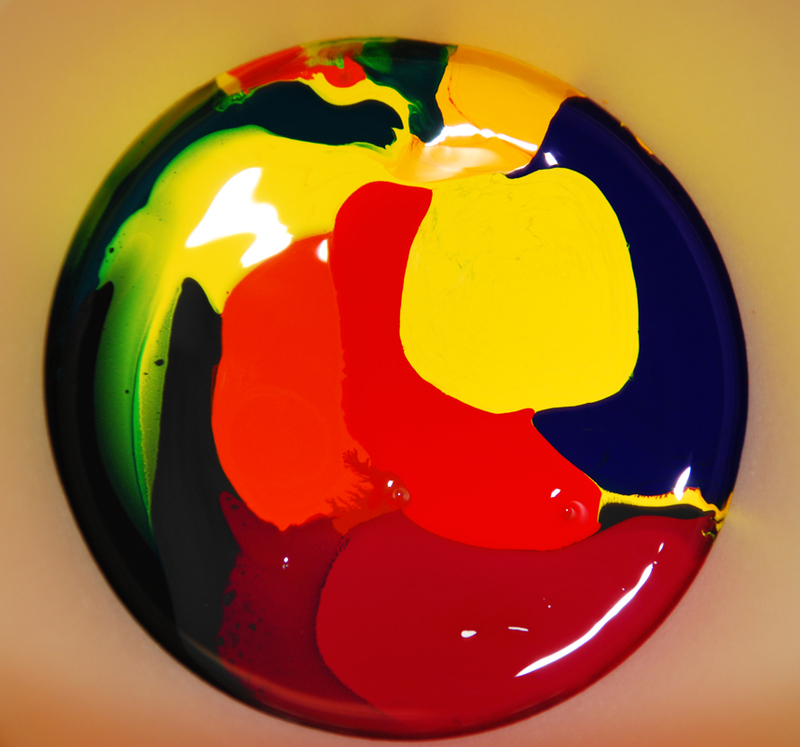 It features a cup full of colorants from a custom color paint mixing machine, after the nozzles have been purged for color purity. First the vibrant color caught my eye. I liked the random patterns that were formed by the various colors. Second, looking into the cup and seeing all that color reminded me of when we were kids visiting the boardwalk down at the beach. We used to pop into an arcade where we would squirt different colors of paint onto a card and a machine would spin the card and create wild designs. Cool stuff for a 10 year old. And don’t ask me why, but I thought this looked like a delicious piece of exotic candy. A few months ago we moved into our new home and have been periodically unpacking the few remaining boxes of stuff we have accumulated over the years. I was storing my countless boxes of slides from long ago and came across several that were tagged Maine photos. Well…I just had to take a quick peek. I found shots of boats, gardens, scenics, and probably my all-time favorite photo from that time in my life. It’s not the best photo I have taken, but it sure brings back a flood of wonderful memories. Here is the story behind the photo in this post. My wife and I were camping for a few weeks on Mount Desert Island in Maine. We spent most of our time exploring the area on foot and by car. Backtracking a bit…before we left on our trip I asked my Mom where the lobster pound she and my father had taken our family to for dinner one night when we were just little kids. 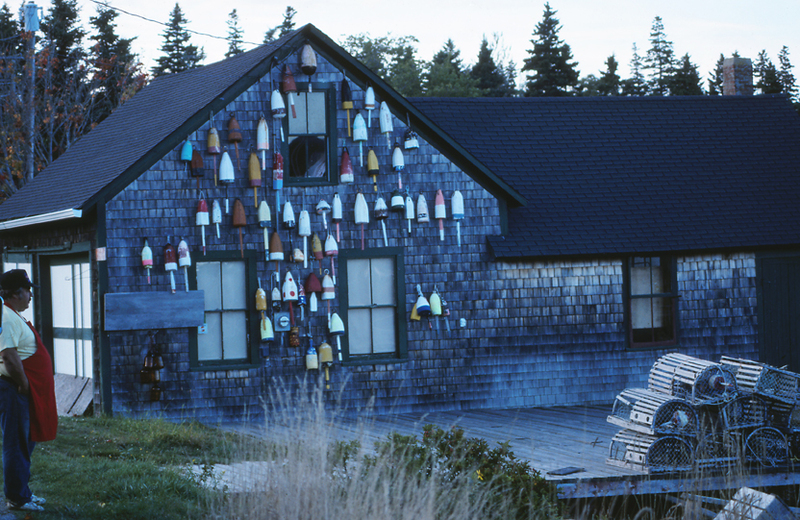 And from what my Mom could remember, it may have been in Bernard Maine, Southwest Harbor, or maybe even Bass Harbor. Or somewhere in that general vicinity. The lobster pound was a place named “Black’s”. Now, back to the camping trip. One evening we took a break from cooking over a campfire and went on a quest to find the lobster pound named “Black’s”. Rather than looking in a local phone book for the address like most folks would have done…yes back then there where phone books in roadside phone booths… we aimlessly drove around the countryside looking for this dining establishment named Black’s. As we came around a bend in the road, we saw the gentleman in the photo standing near one of the many docks in the area. I pulled over and we got out of the car to ask him if he knew where Black’s was located. I mentioned I had been there as a young boy and wanted to take my wife there to experience a fresh out of the water lobster meal. That was an offer we just couldn’t refuse. We followed him over to his restaurant/diner/cafe/one room eating establishment. As he turned up the fire on the big steamer that was outside, we headed inside to place our order. We were greeted by the man’s wife and after some chit-chat she made some recommendations for our meal. We decided on the same meal for each of us. One lobster, along with an ear of fresh steamed corn, one dozen mussels and one dozen clams. Plus two cold beers each. After hiking all day we figured all that should fill us up. The lady then suggested to us to have the best seat in the house. The picnic table out on the front porch. So that’s where we headed. We sat down at the table and our host brought out a cold beer for each of us. Shortly after that she brought out the feast. After a few minutes of splurging on fresh seafood dipped in warm butter, the man and his wife, along with their cat sat down to join us. We shared many stories, laughed a lot…it’s good for the digestion…and just had a grand time together. We may not have found “Blacks” that day, but we sure did find a gem! 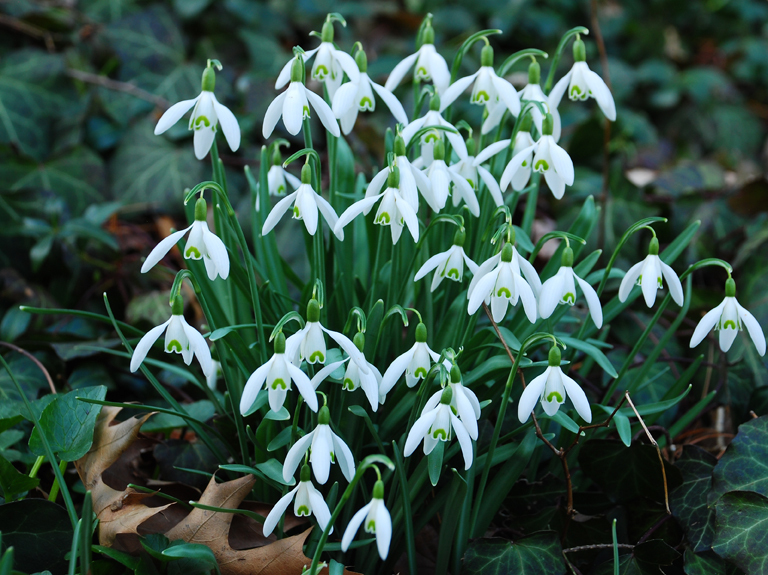 IN THE FIELD: HAPPY FIRST DAY OF SPRING!!! IN THE FIELD: Coming Soon! It’s been cold and snowy for a lot of folks this season. After all, it is winter. We still have quite a bit of snow on the ground and according to the calendar, Spring is right around the corner. As much as I enjoy winter, I really can’t wait for warmer weather. So I decided to look through the archives to find a reminder of the up and coming season. 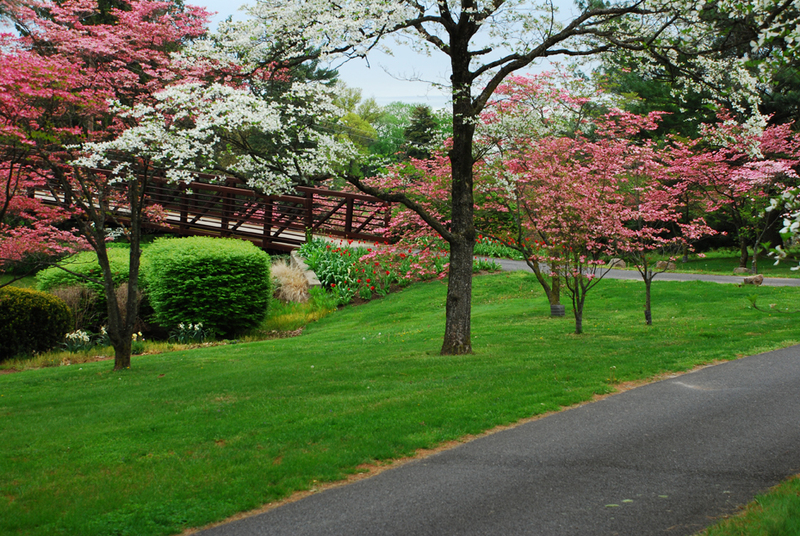 I chose this shot which I had taken while on a shoot for a local country club last Spring.